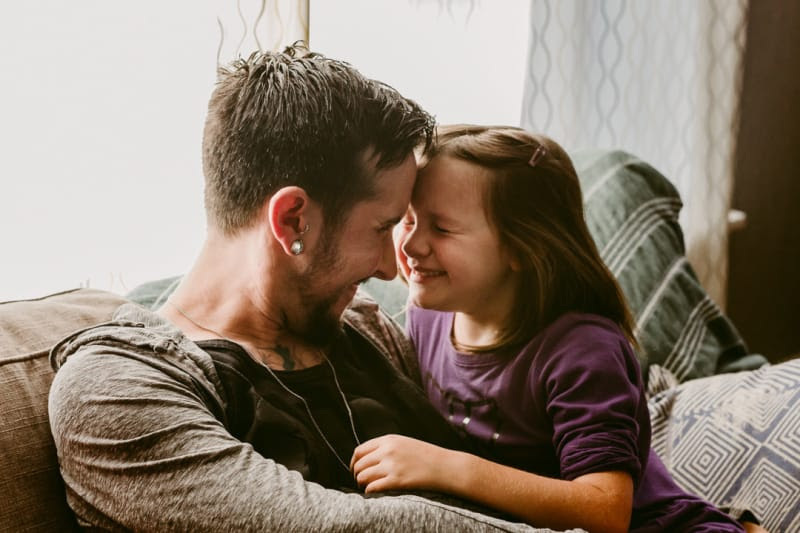 As part of its commitment to family inclusivity, Johnson’s® is proud to sponsor Family Equality Council’s National Adoption Month campaign in celebration of all loving parents who create a gentler world for their children. Biff and Trystan have a full, loving family and a beautiful love story, but how they got there was not your cookie-cutter Hollywood romance story. “Our story didn’t have a meet-cute,” Trystan chuckled. Biff and Trystan met in Hollywood at a Trans community brunch. Biff was the only non-trans person there. Trystan saw him crossing the street and was completely blown away by his presence. “Something inside of me stirred and I knew he was the person I wanted to be with him,” Trystan recalled. Biff ran a social group for trans, gay, bi, and non-binary questioning men. A Los Angeles transplant, he decided to create for himself the community he wished he had. Trystan, intrigued by Biff, started going to his queer men’s social meetup space as the two continued to get to know each other. Eventually Trystan asked Biff out, and then the rest was history. 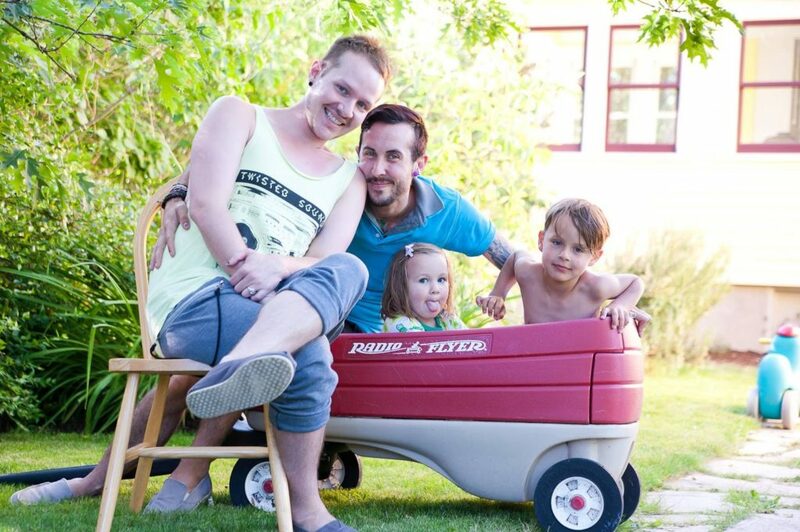 The couple solidified their relationship and looked to the future of building a family. At the time, Biff’s sister was a teen mom whose kids were one- and three-years-old. The couple began the process of getting custody of the two young children. One day, a social worker warned the couple that Biff’s sister might be losing custody, and they got permission for the siblings to live with them for a little while. A little while turned into a long time, which turned into forever when the adoption became legal in 2015. Trystan describes the process as being an emotional rollercoaster. Along the way, there was a series of social workers and judges sent to investigate them, but every one produced reports that, in no uncertain terms, the kids were loved and well taken care of in Biff and Trystan’s home. Looking back now, Trystan has gained clarity about the process. He realizes that at any time, their children could have been forced to back to their parents, or they could have faced a homophobic judge. 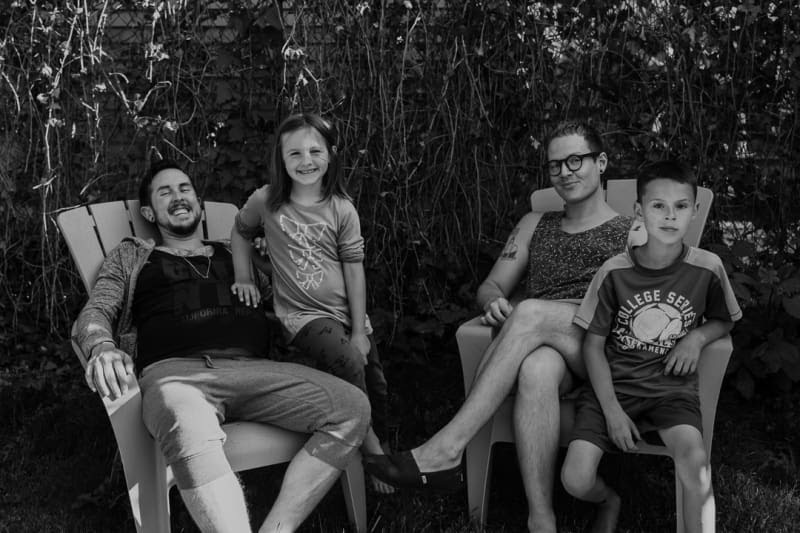 But their family was lucky — their road to adoption was stressful, but legally straightforward. Trystan Reese is the Director of Family Formation at Family Equality Council.